Last Tuesday, the Bear Yuba Land Trust recognizedAlicia Funk during its annual Oak Tree Bash: Annual Meeting and Award Ceremony in Grass Valley. 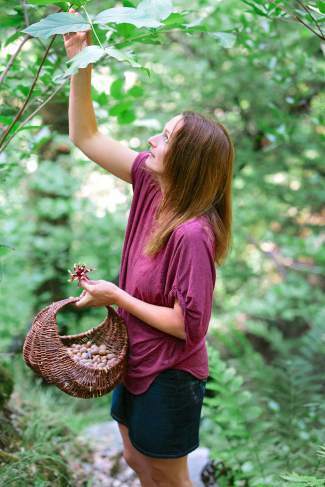 Many of you will know that Alicia is the founder of the Living Wild Project and co-author of “Living Wild — Gardening, Cooking and Healing with Native Plants of California” which is near and dear to our heart because some of the proceeds of each book come directly here to us at CNPS. Buy the book at our website, if you don’t already have it! Congratulations to Alicia, and read the whole article here.